The professional contractors at David S. Smith Fence, Inc have been offering both commercial and residential customers in Central Florida with exceptional products and services for three generations. We pride ourselves and our company on offering exceptional customer service and putting the needs and preferences of clients ahead of everything. 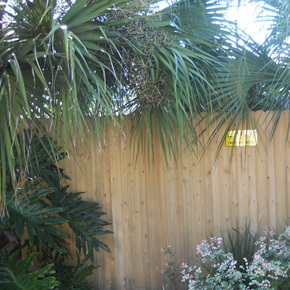 When you hire us for your fence installation, repair or rental, you will see the difference. It makes sense to have a Smith fence. During our nearly three decades of experience, we have provided thousands of customers with a variety of exceptional products and services, including wood, PVC, ornamental and aluminum fences, in addition to stairs and balcony railings. There is no job too big or too small that we can't handle. We will sort out all details of your job from start to finish, including sales, installation, permits and overall customer satisfaction. Located in Apopka, our business has deep roots in the local community of Central Florida, and we have been working with residential and commercial customers for many years. Whether you need a new fence, a fence rental, fence repair or any one of our wide range of products and services, we are the number one fencing contractor in the Orlando area, including Orange, Seminole, Lake, Volusia, and Osceola counties. To learn about how to contact us regarding your next project, visit the Contact Us page. "David Smith has served the Central Florida area for fencing for many years now. He will help you determine the best fencing for your needs. He has put in two fences at different residences for us and we wouldn't think of using anyone else. He is very competitive on pricing. He not only does superior work, but his excellent customer service continues after the installation to ensure that you are pleased with your new fence! Be sure you call David Smith. You will be glad you did!"